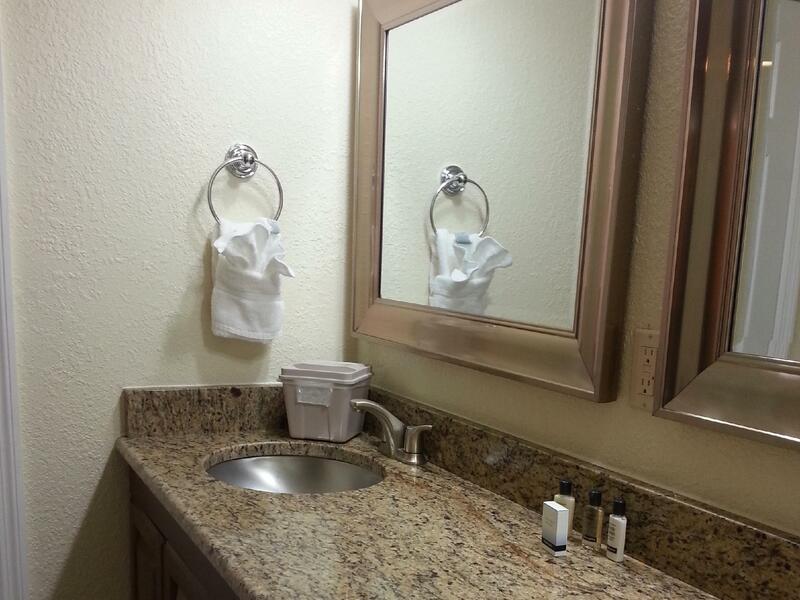 "Super clean and newly renovated"
Have a question for Satisfaction Orlando Resort? "I love the location of this "resort", it is close to many attractions." "Rooms were fine, clean, hot water, fridge, inexpensive compared to others close by." "The rooms are quite large with big flat screen TV's and there is a nice big pool, outdoor seating area, gym and tennis court." "Was very nice place to stay staff was friendly ." 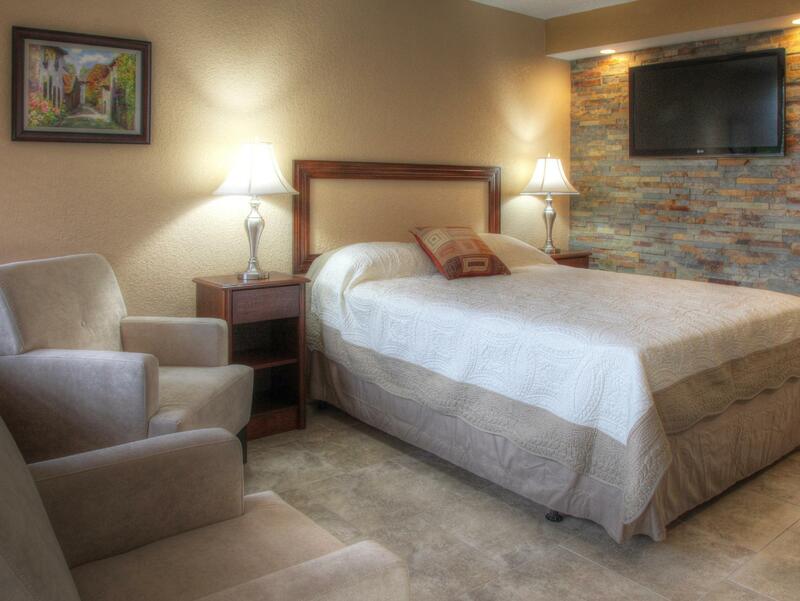 Nestled in the heart of Kissimmee, Satisfaction Orlando Resort is an ideal spot from which to discover Orlando (FL). Only 18 miles away, this 3-star hotel can be easily accessed from the airport. With its convenient location, the hotel offers easy access to the city's must-see destinations. 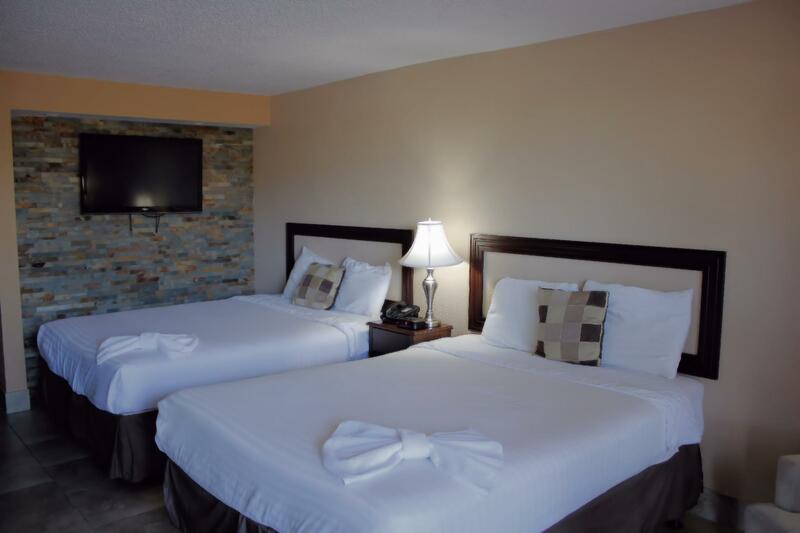 At Satisfaction Orlando Resort, the excellent service and superior facilities make for an unforgettable stay. While lodging at this wonderful property, guests can enjoy free Wi-Fi in all rooms, laundromat, taxi service, ticket service, wheelchair accessible. All guest accommodations feature thoughtful amenities to ensure an unparalleled sense of comfort. Throughout the day you can enjoy the relaxing atmosphere of the fitness center, outdoor pool, tennis courts, garden. 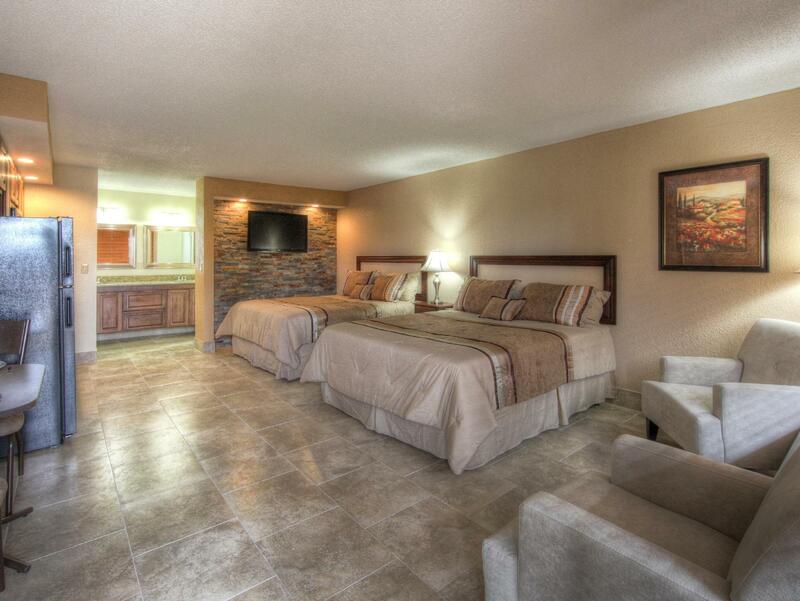 Enjoy unparalleled services and a truly prestigious address at the Satisfaction Orlando Resort. "Overall, i was happy staying here." only issue was they had no towels .. Was given pool towels . The evening front desk clerk was much more friendly than the one who checked me in & instructions to log in wifi were not clear . Other than that everything else was fine & would stay again . The barbecues on the second floor deck were a bonus... could cook our own dinner! The pool was great. The staff were amazing! I just wish they had a hot tub! The staff was so friendly and very nice! Check in was fast and efficient. Our room was super spacious an clean for an extremely reasonable price. We will for sure be back. We’ve stayed here before and have found it to be great for the price. The room is pretty modern and clean. But this time they gave us a style of room we’d never had and it was less decorated and made it feel cheap. We requested a larger bed and they approved our request, but it was not a bigger bed when we walked in. I tried calling the front desk in the morning and no one answered. Intermittent hot water for three days. No one offered to move me to a different area of the hotel until I went to the front desk. Every time I went to complain it was suppose to be fixed only to be out again the next day. Requested a two day refund and was told only manager could approve only to find out later I have to contact the third party booking. This place is not a resort and room I was given was nothing like the website. There are too many other hotels in this price range to even consider staying here again. This is far from a 3 star hotel as they boast on their website. We arrived late, sometime after 9 pm and once in our room quickly realized there were little bugs on the counters and floors so returned to the front desk and was given a new room. Upon inspection that room didn't have the little black bugs but definitely had ants, which I was less worried about at that point and willing to deal with for the short stay. The rooms smelled moldy and smokey, the floors were sticky and sheets/towels were discolored to the point where I didn't feel comfortable for my kids or myself to shower there. The hotel pool looked decent even though we didn't get to go in and the only positive thing I can say is about the staff. They were all friendly and accommodating, especially Danielle the supervisor when I told her about our stay. She apologized and offered to comp one night of our two night stay. If they get the pest/cleaning situation rectified, I would give them another chance. Stayed here twice in two different rooms. The rooms are quite large with big flat screen TV's and there is a nice big pool, outdoor seating area, gym and tennis court. The first room we stayed in was two queen beds on the third floor. The room was exceptionally clean and quiet with a fridge, coffee maker and microwave, but it did smell strongly of bleach when we checked in. The second time we stayed in a junior suite on the ground floor. The room had more of a kitchen with basic cutlery but it was not as clean as the other room and seemed a lot noisier. Still it was a nice room and we would recommend this hotel. overall, i was happy staying here. Rooms were fine, clean, hot water, fridge, inexpensive compared to others close by. Was very nice place to stay staff was friendly . Our room reeked if snoke when we arrived. The WiFi did not work and they gave us phoney instructions on how to get it to work. Linens were full of yellow spots. Dressers are falling apart. Best thing about our room was the large fridge. Otherwise not worth it. Lots of sketchy looking people congregating outside... don’t come here if you have children! Great value. Looks like a recent renovation. Spotlessly clean room and lobby. Really comfortable mattress. (Room is very plain, so not for you if decor is important). Beautiful pool and barbecue area. The pool should open earlier than the posted 8 a.m., however. Thank you for your feedback! We do try our best to monitor the loud guest in the late hours. Thank you for your feedback. We apologize for any inconveniences you may of experienced. We are are always trying to improve our property.